*Once we receive your order with payment, we will send confirmation SMS to your H/P number. *If no SMS received within 2 days, please contact us at 012-3260392 or 03-77839924. 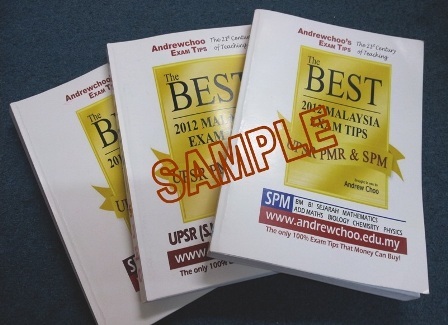 The book is specially written for UPSR / PT3 (PT3) / SPM exam candidates preparing themselves for their examinations. What you will find in this book: Important study notes, forecast questions & completed answers. Our past results are extremely fantastic and the exam tips is getting better and more accurate than ever before. “Thank you, Andrew Choo. Your mail order tips really helpful”. 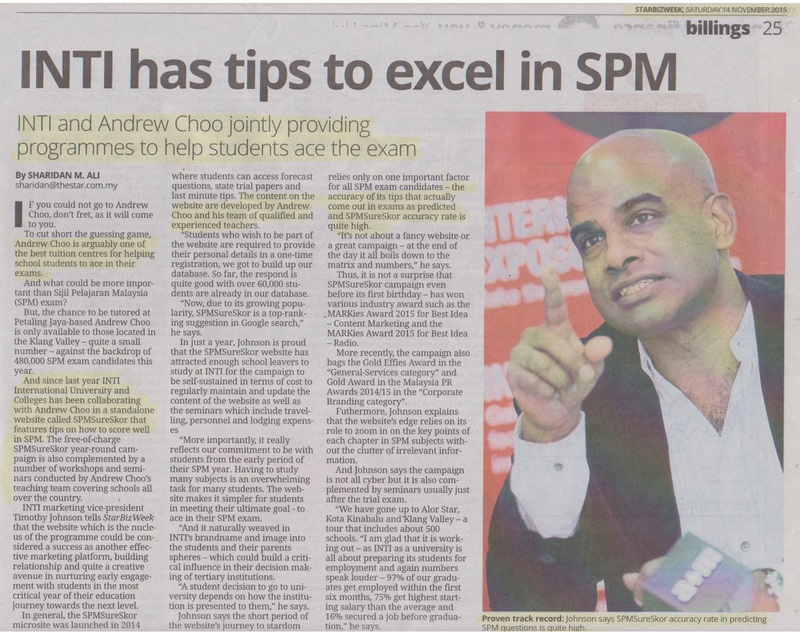 UPSR / PT3 (PT3) / SPM TIPS. 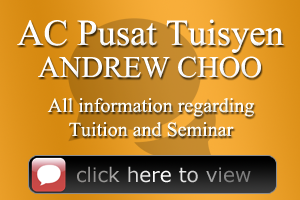 The 1st Exam Tips Provider In Malaysia. Get the Exam TIPS with answers and notes. Hurry order now before the price going up again!